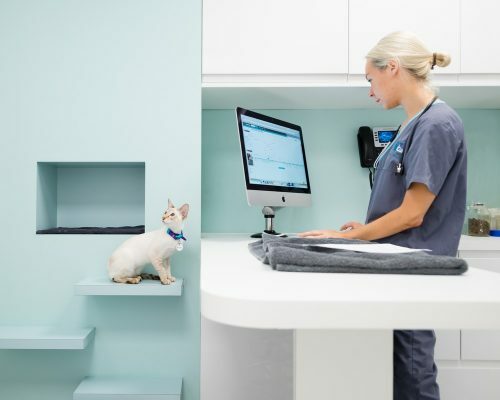 Dalston-based practice Gort Scott has completed a characterful and high quality feline veterinary practice in Bermondsey, London. 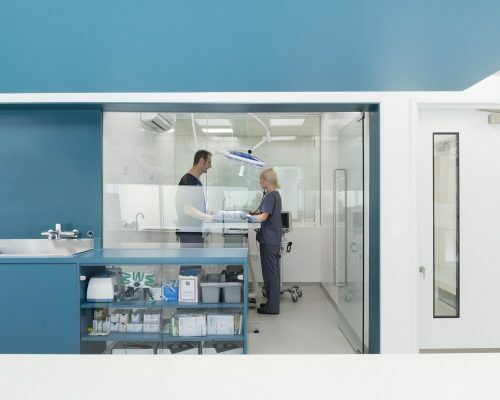 The London Cat Clinic offers a wide range of facilities, including a full-operating theatre and lab, as well as a range of diagnostic imaging methods. 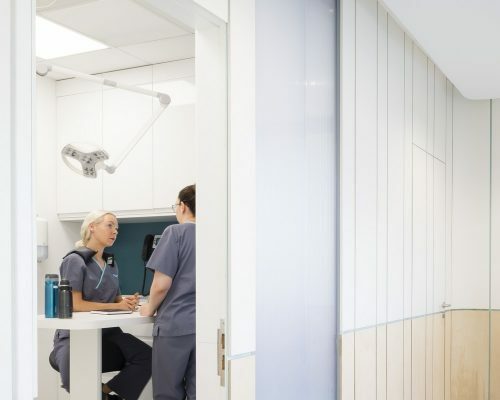 A clean, contemporary aesthetic is carried through the efficiently planned space, reflecting the client’s cutting edge approach to veterinary medicine and maximising the potential of the modestly sized unit. 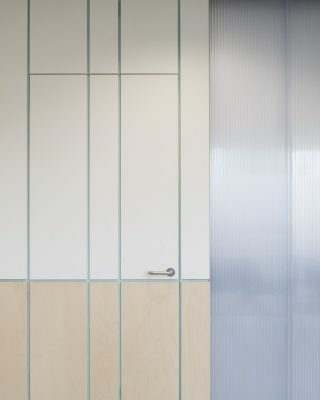 Glazed internal screens and translucent polycarbonate panels bring light deep into the floor plan, providing hints of activity from the practice’s public facing areas. A bold use of colour creatively reinforces the new company’s identity throughout the premises and highlights key features. The innovative design of the reception area uses decorative timber and white laminate panels applied to blue painted walls. Bespoke birch plywood joinery sub-divides the space. 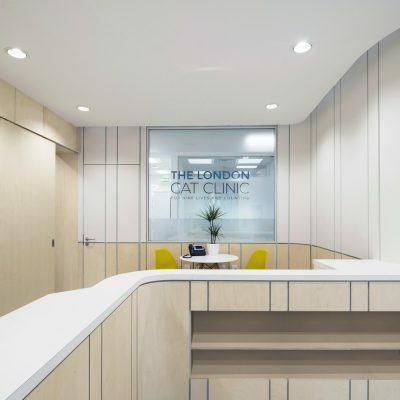 The scheme is driven by careful consideration of the welfare of feline patients and their owners, reflecting the client’s core values. The design works hard to ensure that cats and their owners are at ease, including bespoke elements like the integrated ‘cubbies’ for cats to climb into. 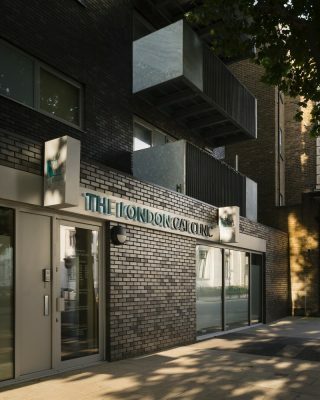 The site, a shell and core commercial unit before the works, sits within the Bermondsey Spa area. Beginning in 2002, this area has been significantly redeveloped and regenerated as part of Southwark’s Bermondsey Spa Masterplan.